Our apologies, we have spotted a difficulty with our new school meals booking system when it comes to booking a special themed lunch. 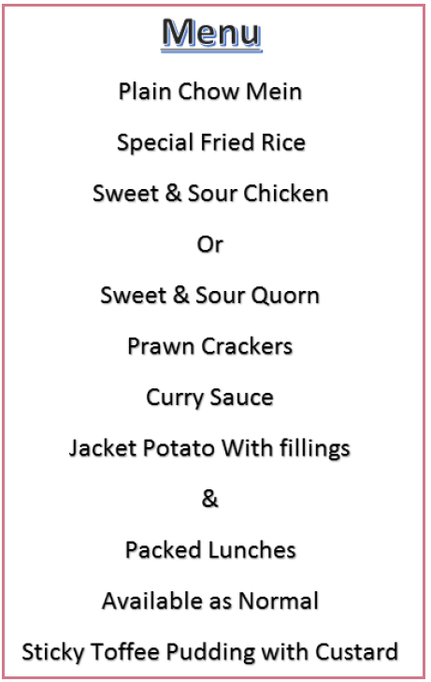 On Tuesday 5th February will be serving Chinese style cuisine to celebrate Chinese New Year. We will be able to sort the booking system out in future, but for this time only you will need to book the main or vegetarian meal for that day on the School Gateway App (Sausages or Shepherdess Pie) but this will not be served as the main or vegetarian options from the special menu will be served instead.